1. The Keeper of Secrets is far larger than I thought. 2. Awwwwww, who's a little Bloodthirster? Yes you are! Yes you are! Wow, KoS is reqlly BIG. If I didn't have over a hndred minis in my dusty and forgotten backlog I would definitely grab one, having a mini this big means painting the details on it must be a delight. He's not angry because Khorne, jus got that little man syndrome. Does anybody have comparison between old Termis and nuTermis handy? Scaled to base size like that greater demon pic I mean. Even better if a nuCSM is in the pic as well. I'm trying to decide if I should get the Termi kit and use their legs for even bigger CSM (the usual truescale hack) or stick with sawing their legs apart and spacing them with plastic card. The Termis then could get legs moulded from Abaddon's...or from the new Obliterators. I already stuck a pair on a Termi Wolf Priest I did last year and they look very meaty, but aren't much longer. With the plastic card in his torso he's now almost as tall as a Primaris. With spacing in his tighs as well he should be close to true scale. Just found out that Games Workshop scrapped the digital version of White Dwarf last year. Really puzzling decision on the face of it, especially given the moves GW has made to offer products digitally in recent years! Does anyone know if the Ciaphas Cain audiobooks are worth it? I remember reading and loving several stories years back, and have some unspent Audible credits. Does it read more like an audio drama with how Star Wars books will add SFX and music, or just a straight reading? Does it include Amberley's footnotes as well? Deep in the Water and The Devil You Know are Audio Dramas while For the Emperor is just the first book in audio form. All three however are written in the style of the "Cain Archive" so it means that it is written from Cain's point of view for the audio dramas it will switch from first-person narration to coversations. Deep in the Water is the first and is the weakest imo but all three are good if you like Ciaphas Cain. For the Emperor is just reading the text but the reader will change depending on whether the POV is Ciaphas, Amberly, or Sulla. I'm interested in who would win in single combat at the moment, Roboute or Abaddon? future fight between them soon? That's tough to call...realistically I feel Abbadon because of all the chaos power he has. His weapon is also clearly superior to the emperor's sword. So single combat probably goes to Abbadon. That being said, Guilliman is an actual legit master strategist (as opposed to GW retconning all of Abaddon's failures). Logically he'd bait Abbadon into single combat and then surprise him with a company of Grey Knights or something. Realistically only someone like Draigo could take Abbadon 1:1. I don't care how strong Abbadon is, Draigo lives in the warp and smashes chaos realms for fun. Abandon The Despoiler wins. It's not even close. Roboute only escapes with his life because he was a distraction and while Abandon was busy slaughtering him, he sent an Eldar ship full of Votex missiles to Abandon's flagship. Abandon leaves after ripping Roboute's two hearts in two. Roboute however survives thanks to plot armor I mean the Belisarian Furnance which repaired his secondary heart. Errr....wasn't it Calgar on Vigilus, not Roboute? 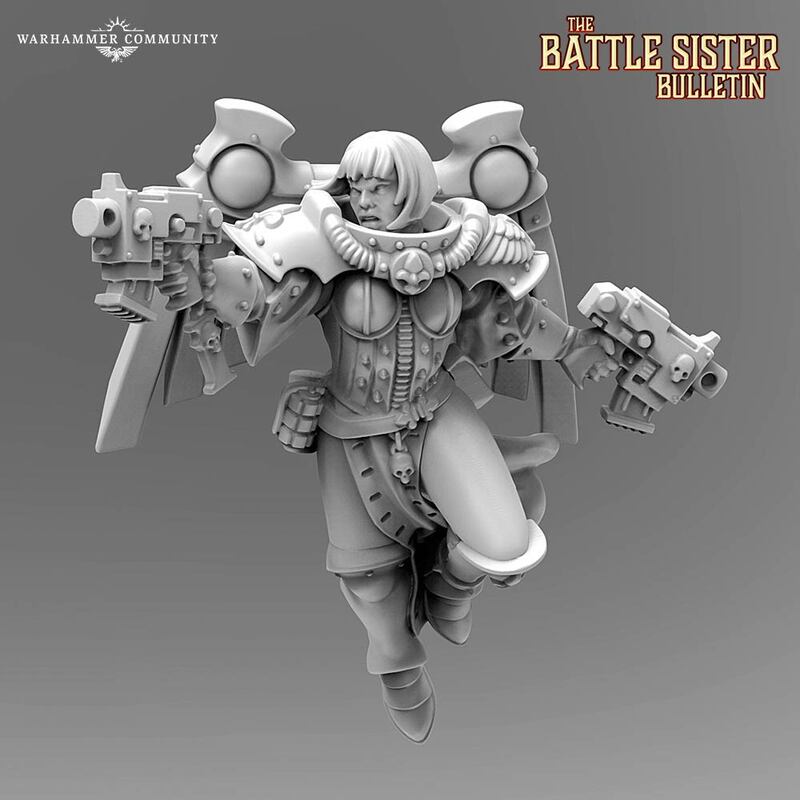 Is Calgar leader of the Ultramarines still, or did leadership revert back to Roboute? It reverted back to Roboute. Though since Roboute is still commander of all the Imperium, Calgar is still in charge of the Ultramarines most of the time. He just has a higher boss now. Roboute is too busy trying to rebuild his Imperium Secondus and rebuilding his legion to worry just on the Ultramarines. Calgar would (and did) lose to Abbadon. The only non primarch, non primaris, non grey knight astartes who stands a chance against Abbadon is Dante. If the Black Rage takes over Dante will end Abbadon and die in the process. Assuming the Sanguinor doesn't show up and they double team him. The Sanguinor not showing up for a Blood Angel in peril not on a spacehulk, lol. Not even remotely. They are a small upgrade on regular marines but the custodes are more powerful than them. The Inquisition can technically take charge of a group of Space Marines. Though it was propbably a technical limitation and wanted Grey Knights or Deathwatch there but couldn’t and had the Templar’s assets on hand. Lt. Mira’s reaction is odd but comes from a place of emotion. It’s kinda assumed Titus and Mira had some kind of feelings for one another so that’s probably why. To be fair they are the second biggest. The Space Wolves are the biggest. Just got the new Chaos codex and flicking through it. My secret favourite new thing is they just straight up added Thunder Hammers to the melee weapons list, allowing Chaos Lords (with jump packs perhaps) to take them again. Or entire squads of Chosen all with Hammers, probably not the best use of points but funny at least. 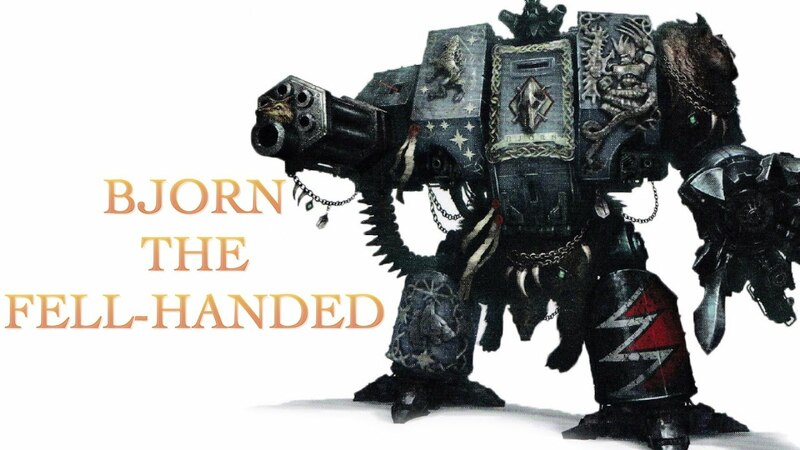 what makes Bjorn different or special compared to other dreadnaughts in the Imperium? He's the oldest. That's pretty much it. He's the oldest living Marine outside the Primarchs. Yeah he's just the oldest living -ish Space Wolf. The oldest non-dreadnaught astartes is Dante. Yes. He was fighting during the Great Crusade and the Horus Heresy. Maybe. Back then, Bjorn would be a common trooper or officer that was running around with Russ during those days. Roboute and Bjorn never meet during the Heresy, but I can't say for certain about the Great Crusade. Eh...maybe? I don't know if Roboute knew him knew him but he would be around during that time. He might as well be at this point. Considering that we have Slaanesh units coming, Fulgrim might be the next Primarch coming. We have a better chance with The Lion coming back. We A) Know he's alive and B) Know where he is. Russ is an enigma, Dorn is MIA, Corax is..a cloud, Vulkan is also MIA, and the Khan...who knows. Lion El'Johnson wakes up, takes one look at the Dark Angles, and says "that's it, I'm telling". The Dark Angels now have to fight themselves over their desire for SECRECY versus their desire to be LOYAL. I'm still waiting for the Khan to pop out of the webway on his own barge full of dark eldar scalps. Then he'll go on a great hunt for Abbie's head. Name Unknown - convinced that the Emperor's final ascension can come only in death. These ultra-radicals mercilessly annihilated by Adeptus Custodes at the slightest detection. So, finally getting around to listening to Horus Rising from the humble bundle a while back. I was bored with the action at the beginning, but I am digging the politics and human elements as the story is going on. How disappointed am I going to be if I continue on with this series? I mean I'm on Fulgrim and haven't stopped yet. The action gets better and the horror/twisted elements start to ramp up as time goes on.